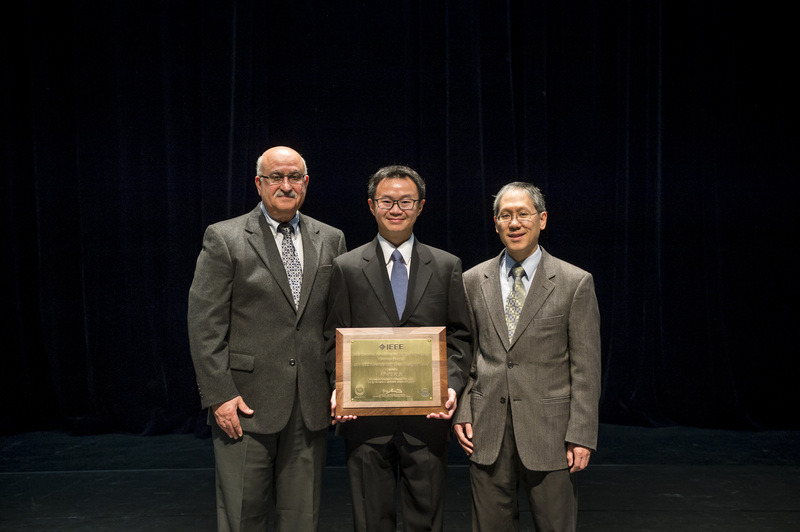 Dr. Alfred Yu, Associate Professor of Dept. 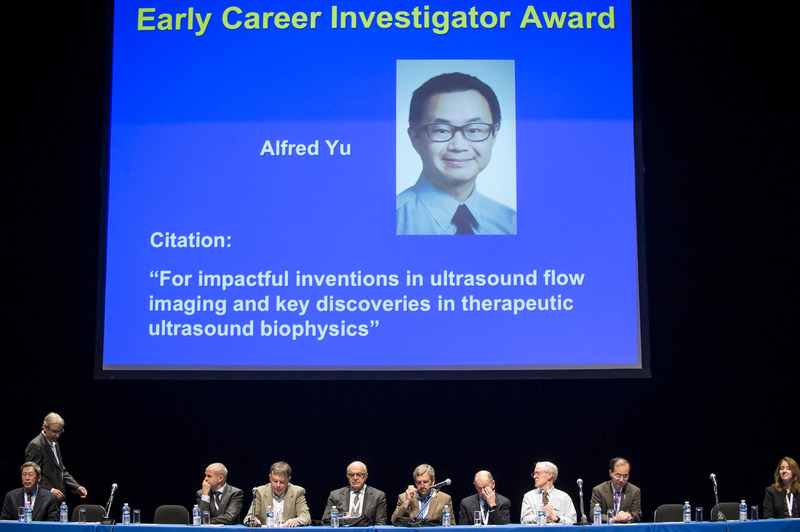 of ECE at the University of Waterloo, receives the IEEE Ultrasonics Early Career Investigator Award for his "impactful inventions in ultrasound flow imaging and key discoveries in therapeutic ultrasound biophysics". The IEEE Ultrasonics Early Career Investigator Award is to recognize the achievements of a researcher in the area of ultrasonics and its applications, and is specific to those researchers in the early stages of their career. It is a very prestigious token of recognition for Alfred's past 9 years of post-PhD research. Congratulations on the achievement! Dr. Jonathan Rose, Professor in the Edward S. Rogers Sr. Department of ECE at the University of Toronto, has been recognized by the Ontario Confederation of University Faculty Associations (OCUFA) with an OCUFA Teaching Award. Dr. Rose is known for his emphasis on the teaching of engineering design and his long record of innovation in both undergraduate and graduate courses. He has garnered several awards and accolades for his contributions to engineering education. Last year Dr. Rose was awarded the Engineers Canada Medal for Distinction in Engineering Education. Earlier this year, Dr. Rose received the President's Teaching Award, U of T's highest honour for teaching. Dr. Sylvain Martel, Professor of Dept. of Computer Engineering at Polytechnique Montréal, was interviewed on the popular CBC radio science program, Quirks and Quarks. The segment was aired on September 24th. For the past 15 years, Dr. Sylvain Martel and his team has been trying to find a way of delivering chemotherapy drugs to the precise spot where they're needed: to the tumours themselves, so that the side-effects of the drugs might be limited. 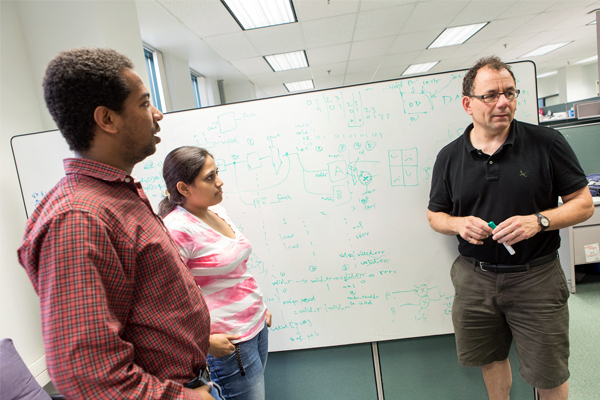 "As a nanorobotics researcher, he tried first to find a technological solution to the problem. But he discovered the challenge was too complex for the technology. However, it turns out that nature has what it takes -- he found the perfect bacteria to do the job. " - Source from the CBC interview. Dr. Martel worked on the proof-of-concept study with collaborators at Polytechnique Montréal and McGill University. Full story can be found here.